Tortas from South Philly Barbacoa will re-emerge at El Compadre on 1149 S. Ninth St. The tortas are coming back, as much by popular demand as by familial rite. On Monday, the 23-year-old son of South Philly Barbacoa's Cristina Martinez will launch El Compadre, a stand-alone revival of the critically prized torta business that was pulled from the menu earlier this year. "We got busier and busier and it reached a maximum," said Ben Miller, South Philly Barbacoa's co-owner and husband of Martinez. "It was a service that was tough for us because we could never get any work done. People were disappointed, but now it's coming back." In a neighborhood known for its Mexican restaurants, Isaias Berriozabal will launch El Compadre at 1149 S. Ninth St., the former site of Los Taquitos de Puebla, which had been run by Martinez's sister (she recently moved away, taking her homegrown recipes with her, and left the space open to Berriozabal). The menu, inspired by the Mexican restaurants of Toluca and Capulhuac, will include all the same tortas from South Philly Barbacoa. Open Monday through Friday — in contrast to the weekend-only hours at South Philly Barbacoa — El Compadre will also be positioned as a leading caterer in Philadelphia. "We're going to really try to push doing corporate lunches and catering orders," Miller said. "We've done work for Temple Law in the past, they like our food, and we see opportunities with doctors offices and corporate events. They're easy for us to do in bulk and they travel well." The restaurant and catering business will also be a bit more accessible than the cash-only South Philly Barbacoa, which began as a food cart before blossoming into a favorite spot of the local Mexican community and a place frequented by food connoisseurs for the traditional barbacoa. El Compadre will be hooked up with local online delivery companies and will accept other forms of payment. Berriozabal, like his mother, is an undocumented immigrant and now a legal owner of a business in the United States. He came to Philadelphia just as the South Philly Barbacoa food cart was going public in order to support his mom and help the business succeed. He was able to move into the El Compadre space with his own savings. "Everyone at South Philly Barbacoa is familiar with him," Miller said. "He's been chopping barbacoa and working the cash register there. Like many immigrants, he comes with a lot of passion for work and a desire to make a career for himself." 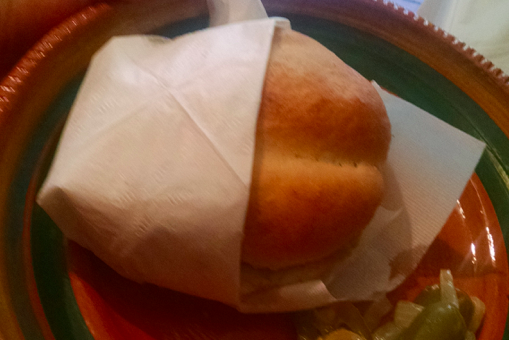 All of the bread at El Compadre will be freshly baked using a recipe developed by Martinez. Beverages will include orange juice, agua fresca and cafe de olla, among others. A special dessert, tamales canarios, will feature a sweet hometown recipe of rice flour, pineapple and raisin. Martinez and Miller will consult Berriozabal, but the business is his — even though the name comes partly from his mom's affectionate nickname, compadrito. It's also meant to reflect the next step above passing amigos, honoring those who attend the handful of major events in the lives of Mexican men and women. "We're serving a community here that longs for a taste of home," Miller said.